As a divorce mediator, I’m always on my megaphone espousing the many benefits of mediation for the divorcing couple. The list is long and there is much to gain from traveling this route. A good example is how there are only winners, no losers in divorce mediation. 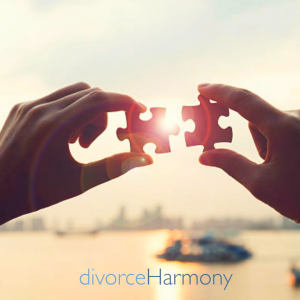 A well planned and executed divorce mediation is what we all hope for when we step into the conference room, or in my case, the virtual online divorce mediation world. The divorce mediator play a big part. However, not many of these benefits can ever be realized if you do not have a mindful divorce mediator who is part of the solution instead of creating more conflict. As mediators we are working for BOTH of you. Our interest lies in getting both sides to be comfortable enough to realize their options. One of the ways that I do this is to try to read how my clients are feeling, noticing even the slightest pang of discomfort. I tailor my approach each and every time depending on the situation. Just like individuals, no two meditations are the same. The goal is to get the parties to a place where they are clear headed and ready for the journey. The divorcing couple are going through feelings of mistrust, shame and animosity to name a few. These feelings will contribute to them not being clearheaded and wanting some kind of revenge or “justice”. For example, in a recent mediation where cheating had taken place, one of the parties could not get past his anger. Instead of encouraging this anger, in my role as divorce mediator, I refocused his attention to the task at hand. When he was able to see that the anger would not change anything, and that the happiness of his children were the top priority, the couple were ready to start working together.